Many people believe that once a brain injury patient is discharged from the hospital by his or her physicians, they will no longer have a need for treatment for their injury. However, a recent study published in the journal Archives of Physical Medicine and Rehabilitation indicates otherwise. Led by Dr. Angela Colantonio, Researchers at the Toronto Rehabilitation Institute examined nearly 30,000 traumatic brain injury patients who had been treated and released from Ontario hospitals during an 8-year period. They determined that within three years of their initial injury, over one-third of those patients had been readmitted, while it was previously believed the readmission rate was closer to 25 percent. Many traumatic brain injury patients are later readmitted, but the reasons for readmission varied among the patients. Most were related to gender, age, and the presence of other medical conditions, with older males being the most commonly readmitted brain injury patients. As previously determined, brain injury patients released from the hospital with a mental health condition were at a greater risk for readmission. Conversely, those who received their brain injuries in car accidents were less likely to be readmitted than previously believed. Dr. Colantonio believes this is due in large part to the support services those TBI patients are apt to be discharged with. Supplemental car insurance is likely to provide car accident victims with resources that will allow them to need fewer subsequent hospital services. This data demonstrates that all TBI patients could possibly benefit from additional care and rehabilitation early in their treatment. The lead author of the study, Christina Saverino, noted that being readmitted to the hospital not only effects on individual’s quality of life, but also comes at great financial expense. Many factors need to be considered when determining the value of a claim involving a traumatic brain injury. One of these factors is loss of earning capacity. A vocational expert will testify about how much of your expected lifetime earnings you will lose due to your TBI, due to trouble focusing, memory problems, fatigue, and other factors that can greatly limit your ability to work. Additionally, people with brain injuries typically retire 10 to 15 years sooner than they ordinarily would- this too must be taken into account. Paying for specialized medical care you might need in the future must be considered, as well. Life care costs can be assessed by a life care planner who will testify about them to the jury. Although a dollar amount cannot be placed on your quality of life, hedonic damages, also known as pain and suffering and loss of enjoyment of life are important to consider when determining the value of your traumatic brain injury claim. If you or someone you love has sustained a brain injury in an accident, it is important to discuss your case with an experienced Colorado Springs personal injury lawyer immediately. 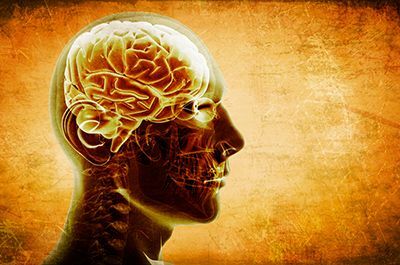 Brain injury patients may require a lifetime of care and specialized medical treatment. It is important to obtain the money you need to meet those requirements. Contact the experienced Colorado Springs personal injury attorneys at the Green Law Firm today to schedule a no-obligation consultation and discuss your case. Call us today at 1-719-694-8515.